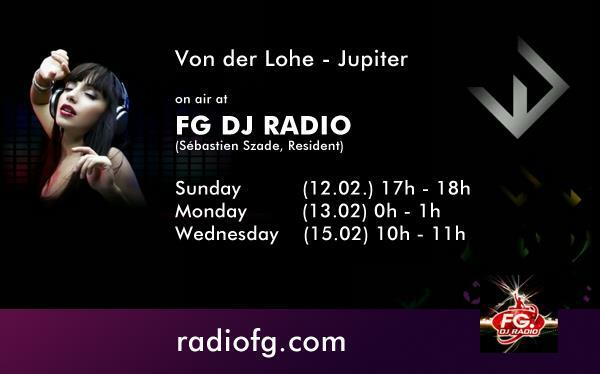 News: Von Der Lohe - Jupiter on Radio FG! After “Jupiter” by our mate Von Der Lohe has already been liked by the management of Eric Prydz another great thing happened. It will be played on Sébastien Szade’s radio show on Radio FG, a French radio station where a lot of big DJs have their own weekly radio show. This is definitely the next step for Von Der Lohe as he now will get more and more attention and hopefully some labels will sign his stuff as he has a lot of good work in the making!